The U.S. federal government just challenged anarchy to a test of might. And each passing day that’s looking more and more like a big mistake. And how is that little war for relevance going? Not very well, apparently. The massive shutdown of parks and public landmarks, along with all too many private businesses, has given birth to a healthy resistancefrom the general public who have begun to realize that it’s the presence, not absence, of government that has been making their lives miserable as of late. This policy of keeping the people out of national monuments has resulted in a legendary public relations disaster: a now-infamous photo of Vietnam veterans being hauled away like stray dogs for visiting their own memorial. The government’s benevolent father figure mask is quickly melting away to reveal the visage of a wicked tormentor. The development of a nation to an extent depends on how good the value of the education, the sustainability in economic growth and how well the debts are being managed so that it does not reach an alarming rate. The real growth of a nation country does not only have to be in terms of numbers but, how is the quality of life of an average individual and household, country has to be conservative approach in its spending on making the next generation more fruitful equipping them with education, values and increase the mindset to share and give, further information on the Snapcash Binary option online trading interface is developed by the creator to share the knowledge and help beginners to earn a good amount of profit, increasing their income generation. This is not lost to the general public. Life goes on unabated for most. Rather than capitulate, most Americans want serious spending cuts before any kind of a deal is reached on the debt ceiling. The petulant little tantrum we are bring forced to endure has only reduced sympathy for the federal government. And society is soldiering on just fine without them. Better, even. The feds: 0. 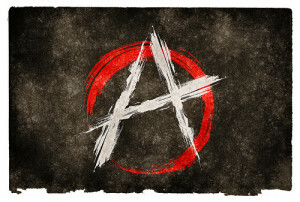 Anarchy: 1. Good game.